Today, while grabbing a bit to eat during a study break, I looked confidently at Skjalg and said, “I’m stupid”. He has a habit of batting away such comments with humor, but this one he took seriously. He asked me why I thought that, and I began to explain to him that I feel like I am doing everything wrong, that I don’t know anything as well as I think I should, and that its takes me forever to learn something basic. “You are not stupid”, he reassured me, “this is hard and you are learning, so you’ll feel stupid at times, but you are by no means stupid”. Exam season is the worst. I fight off a mild panic attack every time I look at the topic list for whatever subject I am studying. I am constantly criticizing my study habits of the past semester and thinking of how I should have done it differently. I still get anxious when I come across anything anatomy related – even though I am done with my exam already. I try my best to console myself with mantras, motivational quotes and wise words of family members, but sometimes things are just too overwhelming for them to sink in. I just want to make it through to the other side! To start a new semester and prove to myself that I can be more organized, more efficient, more… everything. 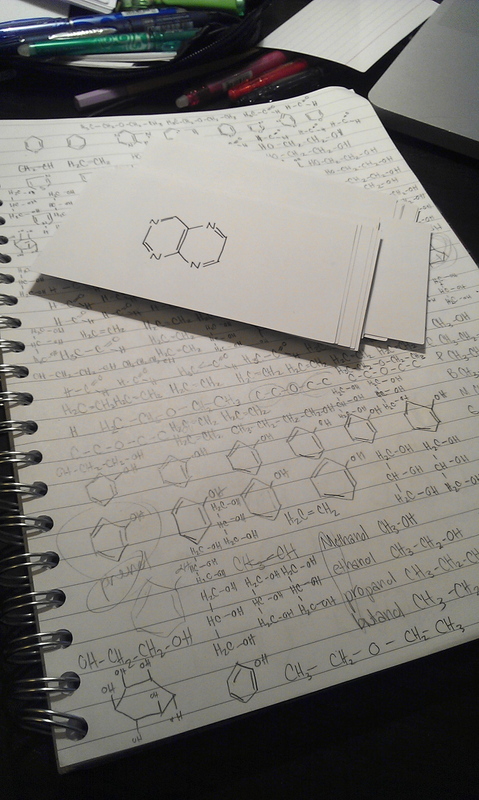 We resumed our studying, Skjalg focusing on reviewing for his anatomy exam (which is tomorrow) and me purging the 70 organic structures I need to know for my dreaded chemistry exam on Friday. After about half an hour had gone by, Skjalg took a moment to show me a little technique for remembering the structures for citric acid, cis-acontic acid and isocitric acid. “This one is only different by a molecule of water”, he pointed out. “What is it called when two molecules are joined by the removal of the equivalent of a water molecule?” He was asking me something easy, to help boost my confidence. 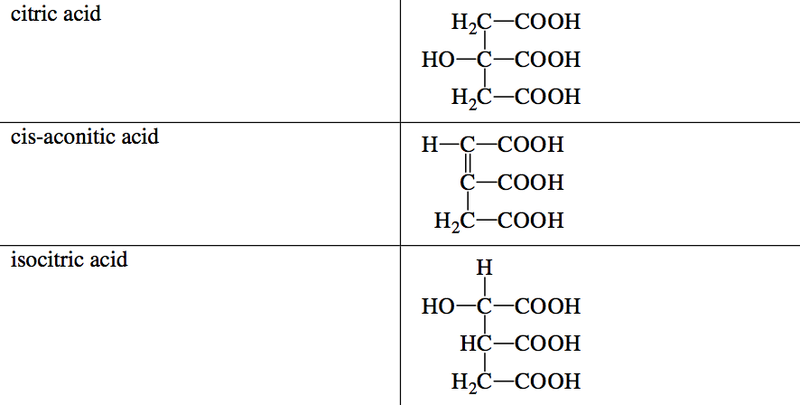 “Hydrolysis….but they aren’t exactly the opposite of each other because they are mediated by different enzymes,” I added sheepishly, recalling on something I’d learned from a Khan Academy video back in May. “See! You know stuff,” he reassured me. I then argued that it didn’t matter because everything that I was proud of knowing was not deep enough any more. I complained that it didn’t matter that I knew that there were two different enzymes – I needed to know their name and structure. Everything always goes one or two, if not more, degrees past what I know. I realized in that moment that I have forgotten what it is like to be a student. It’s been over three years since I was last in school and I’ve allowed the confidence I gained in my “real-world” years to work against me. I’m here to learn, learning is hard, and it’s going to take me a long time to get to the point where I feel confident in what I know. So I better settle in and get used to not knowing anything – because that is why I am here! I would love to close this post with some wise, witty ending, but I fear my creativity is on vacation and structures of organic acids reside in its place. Besides, Skjalg’s musings of the day were wise enough 🙂 Today, we reminded ourselves that we are students and that we aren’t supposed to know everything – at least not yet. You are very lucky to have such a wise, supportive boyfriend! You ‘ll help each other through. You are currently reading If you say A, they will ask about B at Buda-B.